We are a top notch supplier of Forged Manifold Fittings. Our Forged Manifold Fittings have been designed to address a number of factors which are vital in achieving high performance in arduous oilfield service. Block crosses, tees, elbows, and laterals are closed die forged to ensure they have a well defined and correctly contoured grain flow, high integrity and uniformity of shape. We are offering Forged Manifold Accessories. Our Forged Manifold Fittings have been designed to address a number of factors which are vital in achieving high performance in arduous oilfield service. Block crosses, tees, elbows, and laterals are closed die forged to ensure they have a well defined and correctly contoured grain flow, high integrity and uniformity of shape. We are unique in adopting this manufacturing process. We are amongst the most reputed names in the industry, offering Forged Manifold Fittings. 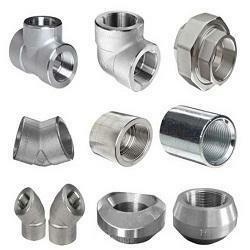 We are engaged in offering Forged Manifold Fittings. 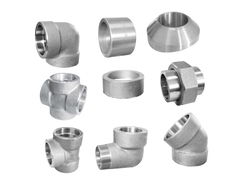 Banking on our enriched industry experience, we are able to supply Forged Manifold Fittings. Our reputed entity is engaged in supplying Forged Manifold Fittings.